Deal Physical damage to target enemy. Target Lock: Daze the target for 2 turns. 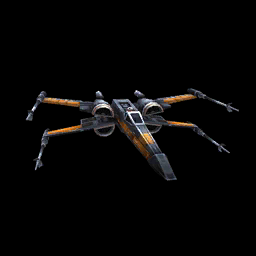 Poe's X-wing gains Offense Up and Foresight for 3 turns, recovers 45% Protection, and gains 45% Turn Meter. Deal Physical damage to target enemy. This attack can't be evaded and always scores a Critical Hit against enemies without Protection.